culture, science, and humanities, amongst others. Education. MOE response time is approximately one month. care of the language program and training, as we are fully MOE certified. learning system that is provided in a fun and interactive way! at Agape School of Education (ASE)? 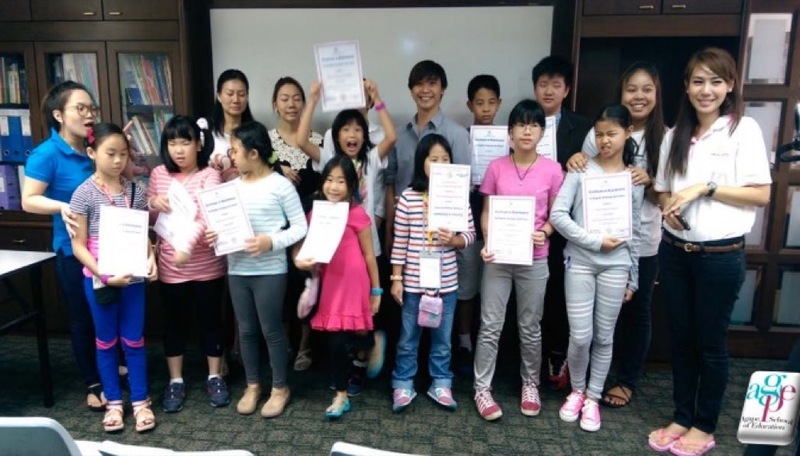 Your child will be exempted from taking test on their choice of Mother Tongue Language for the PSLE and he/she would also not have to take any exams in their Mother Tongue all through primary school. With the MOE approval, your child will continue to be exempted from studying Mother Tongue Language all through Secondary School and Junior College. Your child will have adequate time to focus on their fundamental subjects such as Math, Science and English. It is an unlimited prospect for your child to find out more about some other relevant culture and language. The languages learned are highly valued in the international job marketplace. We have been offering these courses since 2006 hence, we are fully experienced in these fields with the best of educators available and with a learning system carried out in a very serene and comfortable environment. We always strive for innovative ways to simplify and expedite the sustenance of your child’s language learning process. The goal and mission of the aforementioned language programs, is to offer a platform for all children to cultivate applicable skills in a second language with respect to their various age groups. If your child has been exempted from the compulsory mother tongue languages he/she is welcome and fully admissible to study any of our above-mentioned official languages in lieu of Mother Tongue at ASE.